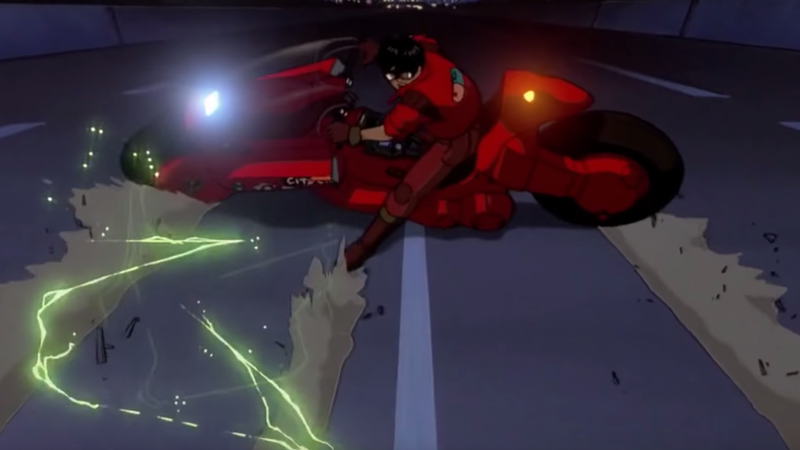 Hollywood has spent years threatening to make a live-action adaptation of iconic anime classic Akira, and the very meanest part of this threat is always that everybody involved wants to Americanize the story and set it in some futuristic version of New York. The original movie took place in Neo-Tokyo, years after a mysterious explosion of some sort obliterated the old Tokyo, and a good chunk of it is meant to not-so-subtly evoke the aftermath of the atomic bombs that we dropped on Japan in World War II. That means transporting the story to the United States drains it of a lot of power, which is in addition to the firmly established issue of whitewashing traditionally Japanese characters in an American adaptation. Did we learn nothing from Ghost In The Shell? Apparently nobody really listens to us—or, you know, common sense—because the American adaptation of Akira that Leonardo DiCaprio’s Appian Way studio has been sitting on for years just landed an $18.5 million tax incentive to film in California. That’s a ton of money, and it’s among the highest payouts the state has ever given out for a tentpole movie like this, so it means everybody’s counting on Akira actually getting made and being a pretty big production at that. It also means, unfortunately, that the movie just took a huge step toward actually happening and that it’ll almost definitely be set in Neo-Los Angeles when it does happen. This all comes from Deadline, which also notes that Thor: Ragnarok’s Taika Waititi is supposedly still on board to direct—which we first heard about years ago. That may seem like a potentially good sign, because Waititi is great, but allow us to reiterate some salient points: This would be live-action remake of an anime movie from an American film studio set in an American city and possibly starring American white people. Waititi said back in 2017 that casting actual Asian teenagers “would be the way to do it,” but that doesn’t necessarily mean that it’ll be the way he gets to do it (and that’s assuming he doesn’t eventually drop out, as every other potential director has).